Shirts With Random Triangles: Mississippi St. adds Alabama high school cornerback Maurice Smitherman to its 2015 recruiting class. Mississippi St. adds Alabama high school cornerback Maurice Smitherman to its 2015 recruiting class. Maurice Smitherman. Via The State. 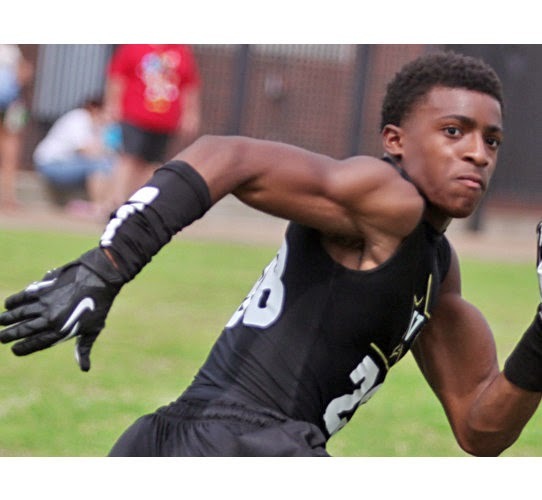 Mississippi State added a cornerback to its recruiting class of 2015. Adamsville, Al. high school rising senior cornerback Maurice Smitherman committed to the Bulldogs on Thursday. Smitherman attends Minor High School in Adamsville, Al. Rivals.com gives Smitherman a three-star rating, and ranks him at 39 on its list of 2015 cornerback prospects. Smitherman is 5'9, and weighs 174 lbs.